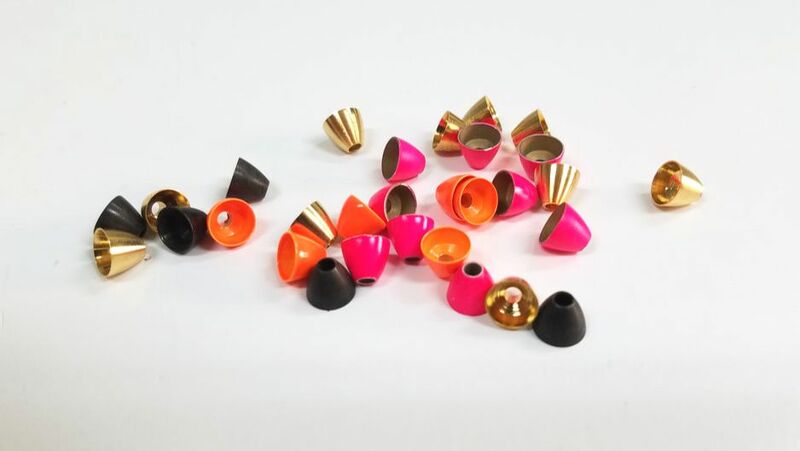 Brass and Tungsten cones for all your fly tying needs. Use them on hooks and tubes for all of your streamers. Kameleon heads are a replaceable ​head that you can slide on and off. Slide them on side-ways, then give a quarter turn which locks them in place. They come in both aluminum and brass. This give you the option of heavy or light when fishing your streamers.